Fairway Group, the Jersey-based independent, owner-managed fiduciary business offering trust, fund and pension services, is expanding internationally with the opening of operations in Bahrain. Initially the new office will be used primarily to provide trust services to high net worth individuals and families, as well as provided corporate solutions. The plan is to then develop additional fund structuring and pensions facilities in due course. Representatives from Jersey Finance group and several government officials attended the unveiling ceremony of the new office, located at the prestigious United Tower in Bahrain Bay. The move into Bahrain comes on the back of the Fairway Group’s long and successful partnerships in the Gulf region, including with Emirates NBD in Dubai. 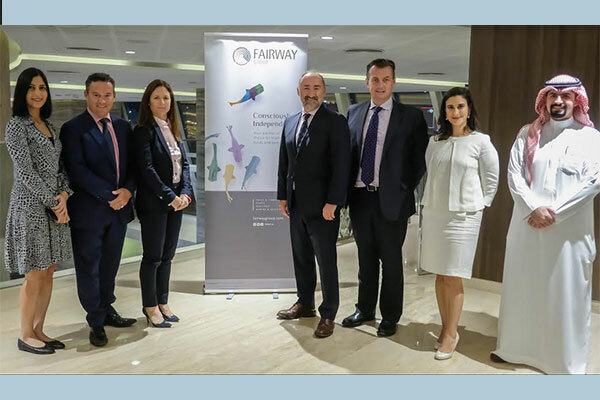 Graeme Fairlie, who will continue in his current role as the Fairway Group’s international business development executive, will also take on the position as regional manager in Bahrain. The St Helier-based Fairway Group, which has £5.5 billion ($7.2 billion) of assets under administration and almost 100 staff, is committed to taking its expertise internationally, a company statement said.